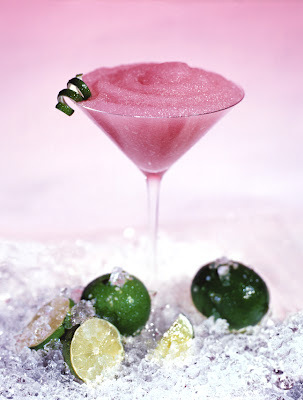 This is a frozen cosmopolitan my husband shot (and I styled) for a client awhile back. I had a blast with the "ice" and a secret ingredient in the cosmo! Can you guess what I added to the drink for the photo shoot? Get your answers in by midnight (PST) Sunday May 27. If no one guesses correctly, I'll have a contest to give it away next week! That truly is appropriate eye candy for a Friday! I have no guesses, but have a great weekend! Let's see....something to make the pink really pop, right? I'm going to guess pink jello! I guess you weren't able to drink it? I was surprised to discover that alot of food in magazines is non-edible. Yogurt? I've heard of it being used by food stylists to simulate frozen drinks. Beautiful shot, by the way. How about that powder that comes out around Christmas time that you add water to, and it's supposed to be snow. Magic Snow? i'm going to guess that it's those crystals that you add to cut flowers that become gel-like, to keep them fresh. Wow! I didn't think of applesauce. The husband suggested a polymer, like the type you find in a diaper! Cool picture! Was Glitter the secret ingredient? Can we have two guesses? If so, my second guess is liquid soap. Benefiber? or a fiber supplement? 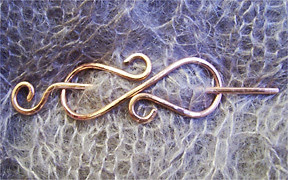 All the really good guesses are already guessed, so I'm going with tiny seed beads to make that lovely, sparkly texture. Yup, that's my guess and I'm stickin' to it! totally random - polyster stuffing? Hmm, I don't know what this stuff is called, but I got some as a gift once ... it's a packet of little crystals that when you hydrate them, they turn into a gelatinous mass ... often used to put tealights or floating candles in. That's my guess! Windex- it's got to be windex! Since Applesauce was already taken, I'll guess potato buds or whatever the fake, just add water, boxed mashed potato stuff is called. I don't see my comment. I think it was Vodka! Cranberry juice? To make it pinker? cranberry juice to make it pinker? Easter egg dye. The pink is so intense. Tapioca? There's no condensation on the outside of the glass, so I'm guessing the "drink" isn't really frozen. Ok, I have another guess of instant mashed potato mix or potato flakes or something like that. I guess instant mashed potatoes. Red food coloring? Maybe some of those beads from a diaper that has been in a swimming pool and exploded (clean of course). Hmm...these are all good guesses! I thought of several of these, too. Ok, I'll guess lots and lots of sea salt! hahaha...I'm doubting that can possibly be it - but it looks very sandy like on top. Awesome photo. To me it looks like some sort of pink foam or sponge was used, it looks really tasty at any rate! hair mousse. shaving cream. strawberries. Red food coloring. Your styling is awesome. I think I'd still prefer the actual drink though! glue? styrofoam? interfacing? hairspray? OK, I'm out. Rice cereal or instant grits? I second the notion that it is in fact some form of pink roving soaked in pink gelatinous goo. I can't offer a guess because there are already so many good ones before me but I do want to say that your pins are gorgeous. I'm betting either applesauce or the tiny super-water absorbing crystals. I guess it's the garnish on the glass, it looks to be enameled, perhaps the look is from photography or photoshop skills, but it looks like a piece of jewelry rather than a slice of lime, etc...I'm interested to find out the answer! The lime twist looks so ... perfect. I'm going to guess that it isn't a lime twist but what? Metal maybe? How about Calamine lotion, to enhance the bright pink color? paint? glass? Whatever it is, it sure looks good! I'm guessing cream of wheat instant oatmeal. Personally, I'd take the real thing any day, but that photo is stunning. Nice job! What a great picture!! It really gets my mouth watering for some drinks later. I think it looks like apple sauce was added. Wow, lots of comments. People want your gorgeous pins. How about Barbie pink jello. All of the good guesses are already taken. It is a neat pic, btw! I heard that wood glue was often added to food for advertising pictures, so I'm gonna guess that. Nice picture. My guess is Pepto Bismo. I haven't been around the computer much this weekend so I've missed your contest...but my guess is DIAMONDS! ;-) I'll bet it tasted good no matter what. Grenadine (sp? ).....it's the most amazing color!! Makes me want to whip up a couple. Does that come in the "virgin" type as well? First off, Thanks so much for all your nice comments! And last, my guess is you handmade the lime twist.